In 1939 a group of laborers were excavating a new shaft for a coal mine near Arkham Massachusetts when they suddenly fled the job site and made fantastical claims to explain their refusal to continue work on the project. 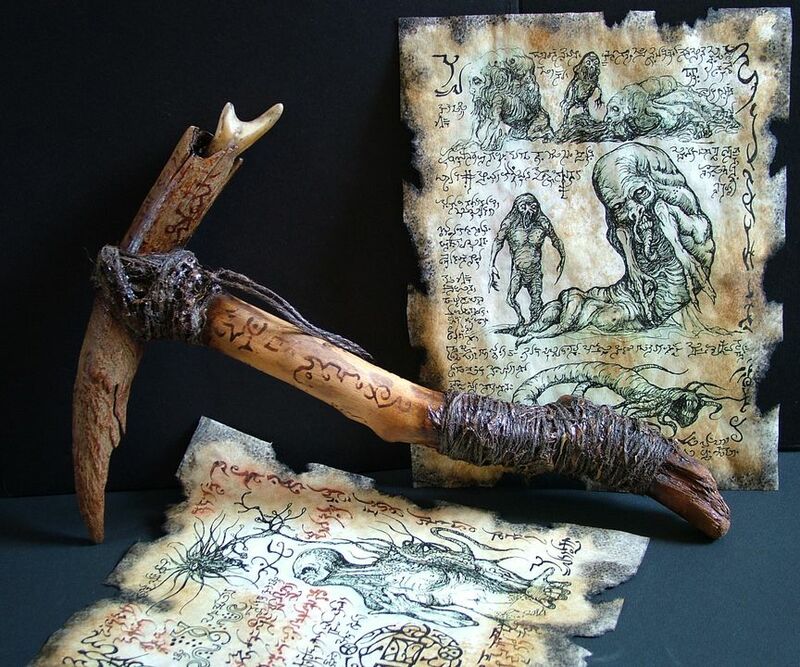 According to the miners they broke into a large cavern and found a "bloodstained stone altar, with carvings of monsters all over it" and a large pile of human bones. As they inspected the cavern they were attacked by dozens of "slimy little snake people" armed with "caveman weapons". The workers fled the shaft and collapsed the entrance. As proof of their tale they presented a primitive looking pick type of weapon that had been stabbed into the thigh of one of the men. The story was reported by national papers as a "labor dispute" and the workers claims derided as a drunken fabrication. The mine was closed and the incident forgotten. The pick weapon ended up at the folklore department at Miskatonic University. In 1943 Prof. Miles Chambers of Miskatonic began a serious study of the incident, comparing the weapon to similar artifacts found worldwide. He found a possible connection from references in the Necronomicon and Von Juntz's Nameless Cults to subterranean creatures known as "Worms of the Earth" and methods of contacting them. Chambers purchased the abandoned mine in late February 1947 and by the afternoon of March 3 his workers had reopened the shaft where the original incident had occurred. At 5:03 pm he entered the shaft with a photographer. In a stunning coincidence a minor earthquake occurred at 5:41 pm and the entire mine collapsed, the bodies of Prof. Chambers and the photographer were never recovered.